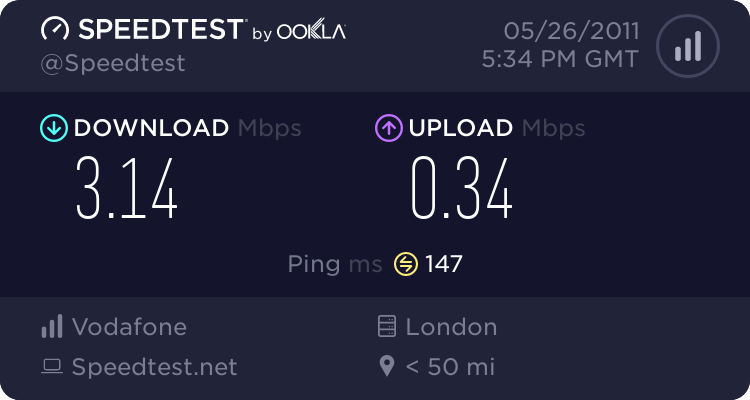 BT (British Telecom) are the worse ISP in the country. I used to be able to get just over 4mb, now I can't even get anywhere near 2mb plus at peek times they throttle pretty much anything that isn't used in your web browser. NG movies take ages to load, everything takes ages to load. Bittorrent forget it as that is throttled to 3KB max at peek times (yeah 3KB. What can you do with that?!). 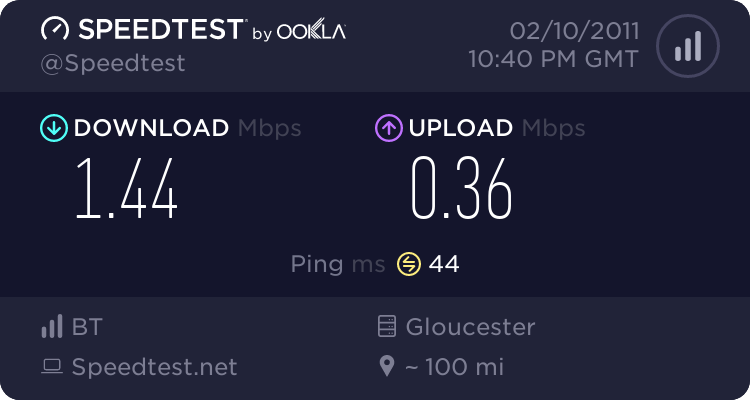 Can't wait to get off this terrible ISP. Hey look there is a website exposing more of their major suckage. Our country is stuck with really bad internet speeds because of this really bad ISP. 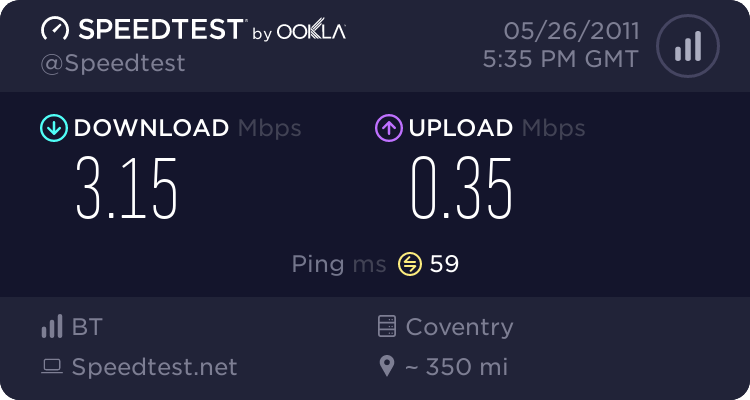 Virgin media have a FTTC network that covers about 51% of the country and BT have only just started their own fiber network that still isn't as good. The funny thing is BT has got a load of money from the government to make their network and they are not putting it in the places that don't have fast internet speeds. Shouldn't government money be used for places that these companys don't want to upgrade? You got a nice scam going on here BT. Wasn't the privatisation of British Telecom so they wouldn't need government money . yeah nice going. How many people do you think have clicked this link? Well click here to find out! Well can't think of much for a good post, so I will just say that a few days ago my 360 got the red ring of death.